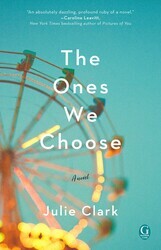 The Ones We Choose is about single mom Paige who has to juggle dating and parenting against her work as a geneticist. Debut author, Julie Clark, drew heavily upon her own experiences as a working single mother to write the book, which releases on May 8. Below she answers questions about parenting, making friends as an adult, and balancing relationships with the demands of parenting. What is your top “single-mom” hack? Getting my kids up and out of the house every day is a feat of epic proportions. One of my kids is most definitely not a morning person. He is cranky and angry that the world demands he get up and learn something five days a week. Life got so much simpler for me when I realized I could minimize the arguments by dressing him for school the night before. So now, every night he takes a bath, puts on clean clothes for the next day, then climbs into bed. The next morning, I can let him sleep until the very last minute, only waking him when we’re fifteen minutes away from leaving. All he has to do is put on his shoes and socks. As the only parent in the house with my kids, I have to make choices about things that matter and things that don’t. And I decided several years ago that letting my kids sleep in their clothes (clean! bathed!) was something that made all of our lives easier. In The Ones We Choose, Jackie and Paige form a tight bond very quickly. Talk about some of your best friendships. Some of my most beloved friendships are ones that span many decades. People who have known me as a child, who now know me as an adult, see me in a way no one else can. There’s something very comforting in being around others who carry a piece of your own personal history with them. I’m fortunate to live in the town where I grew up, and my closest high school friends and I gather for dinner at least once a year. When we’re together, we laugh and behave like we’re still sixteen. However, like Paige and Jackie, there are newer friendships that just “spark” something. Some unnameable chemistry that makes it impossible to stop talking. Those moments are rare as an adult, since we’re all so focused on our to-do lists, but when it happens, it’s as exciting as meeting a new friend on the playground for the first time. Why do you think it’s so hard to make friends as an adult? Do you think it’s easier or harder as a single parent? I definitely think it’s harder. There just isn’t the time or the space to socialize without serious advance planning. I can’t drop everything to go to a friend’s book signing or even for drinks after work. I have to organize a sitter, I have to make sure I have the money to pay for it, I need to balance that against my work and writing schedule. Having a partner in the home would allow me greater freedom and flexibility, however it would seriously impede my ability to write in bed at the crack of dawn. So I guess that’s the trade-off! 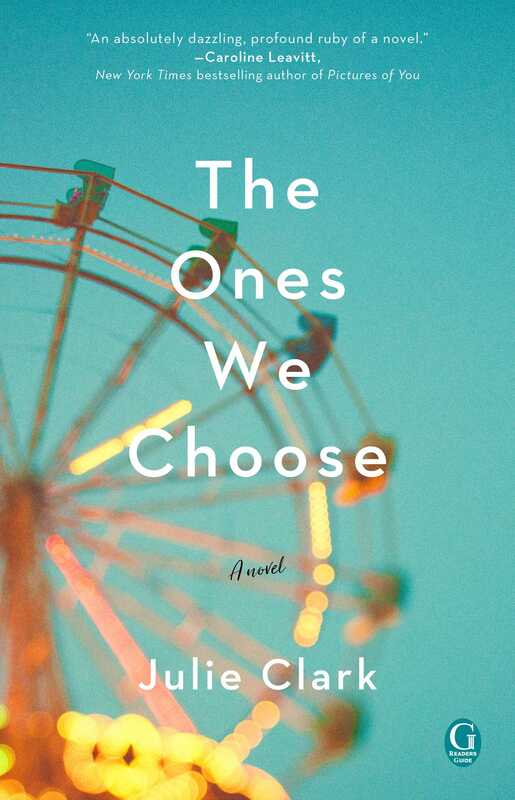 Paige and Liam struggle to find a balance in their relationship at the beginning of the book, with Liam trying to gain more of a foothold than Paige is willing to give him. What are the pitfalls of dating as a single parent? It’s hard to carve time out for dating. Unlike a night out with friends, there’s no guarantee a date will be worth the babysitter money. Paige struggles to integrate Liam into her life, and these struggles are real! All over the world, single parents have to balance their romantic lives with the wants and needs of their children. They have to prioritize their role as parent over partner, while at the same time, making sure their partner’s needs are fulfilled and nurtured too. It’s incredibly hard to do, and Paige struggles with it like any single parent does. Name a book you’ve loved in the past twelve months that you want to shove into everyone’s hands. Watch Me Disappear, by Janelle Brown. It’s the story of a mother who has died on a solo hiking trip, and how her daughter and husband battle through their grief, only to discover that perhaps she isn’t dead after all. This book kept me guessing all the way to the very last page, which is unusual, and I want everyone I know to read it so we can discuss it afterwards. What’s one thing you want everyone who reads The Ones We Choose to walk away knowing after they’ve read it? That even after we lose loved ones, there are so many ways they still show up for us. They are embedded into our DNA and are a part of every decision we make.